Zachary's Chem-Dry offers the best Jacksonville upholstery cleaning! It’s inevitable: furniture gets old, stained, and worn out with everyday use. This doesn’t mean your couches and chairs need to be thrown away, they just need a deep clean from Chem-Dry. Zachary’s Chem-Dry offers the best upholstery cleaning Jacksonville has to offer, so make your appointment today. Our cleaning process will get rid of dirt and grime in your upholstery, making them look and feel clean again! Chem-Dry has quality upholstery cleaning services at an affordable price. Feel like your furniture just doesn’t look the way it used to? Don’t worry; we’ve got your back. We have an array of stain and grime-fighting solutions without the harsh chemicals included in competitor cleaning brands. Whether its food or paint, sweat or dirt, our master technicians are equipped for your emergency. 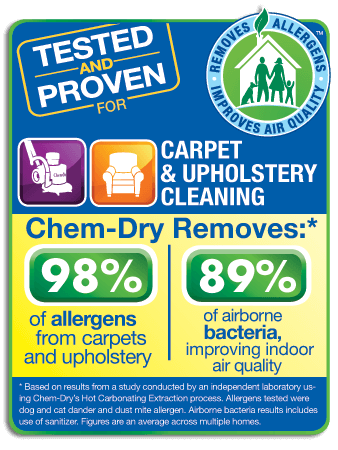 Call us today to see how Zachary’s Chem-Dry can make a great difference in your home and on your upholstery pieces. 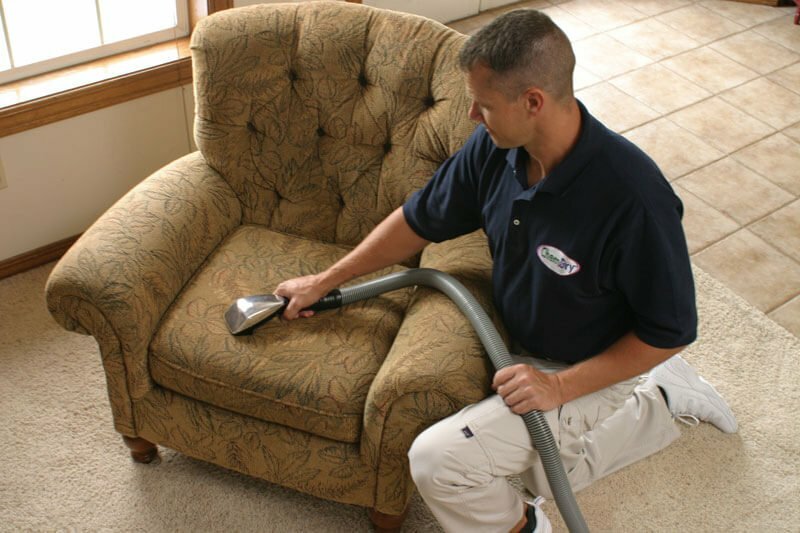 Other Jacksonville upholstery cleaners will try to convince you that they have the best, most efficient cleaning methods. In reality, their solutions are full of toxic, harsh chemicals and do a disservice to your furniture. Chem-Dry provides your home with all-natural cleaning solutions that are safe for your family and pets as well as the environment! Your furniture deserves the best, so give Chem-Dry a chance to make that lasting, healthy impression on your home. We do offer the best upholstery cleaning Jacksonville can give, so why not choose the best for your home! Call Zachary’s Chem-Dry today to get the best upholstery cleaning Jacksonville has to offer at (904) 620-7310! We save you money because Chem-Dry leaves no dirt-attracting residues which can prematurely re-soil your furniture. Chem-Dry’s fabric protector shields your upholstery by forming a water and oil repellent barrier on the surface of your furniture’s material. We also clean leather furniture! Get A Free Price Estimate! We provide superior residential and commercial carpet and upholstery cleaning services throughout Duval County, Clay County, St Johns County, Florida area including: Jacksonville, Orange Park, Atlantic Beach, Arlington, Neptune Beach, Southside, and the surrounding areas. © Zachary's Chem-Dry 2019. Independently owned and operated.